Cloudable enables freelancers, small businesses (such as media agencies) and webmasters to easily share their files online. It’s been built to be extremely robust, secure and very fast! 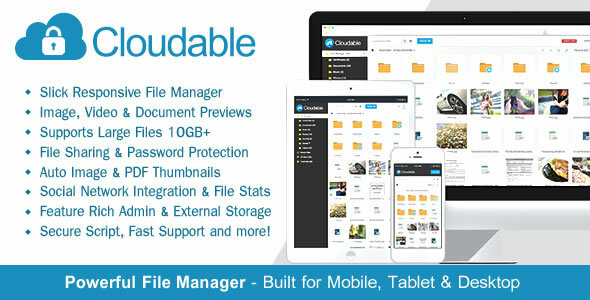 0 Response to "Cloudable File Hosting Script - Securely Manage, Preview & Share Your Files ~ Codecanyon"